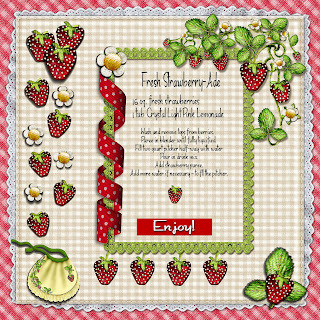 It's Strawberry Festival time so I thought I'd share a "themed" recipe. This is a page I did for a group recipe exchange. The theme this month is beverages so... here's mine. I am ready for some Strawberries! !